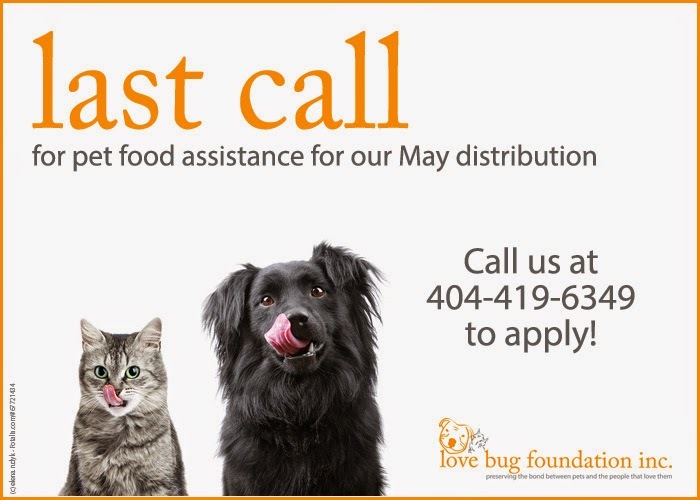 Today is the final day to apply for pet food assistance for the month of May. Please call 404-419-6349 to apply or complete our online application form. We will begin pet food distribution on Monday. Applications received after 4/30/2015 will be processed for our June distribution. Love Bug Foundation Inc. is now a registered charity with AmazonSmile. This means that you can help feed hungry pets every time you shop at Amazon.com. All you have to do is click the link below, log in and select us as your charity. AmazonSmile will donate 0.5% of every eligible purchase made. This is an excellent way to help support our cause so PLEASE, take a few seconds to sign up and remember to start your shopping at smile.amazon.com. 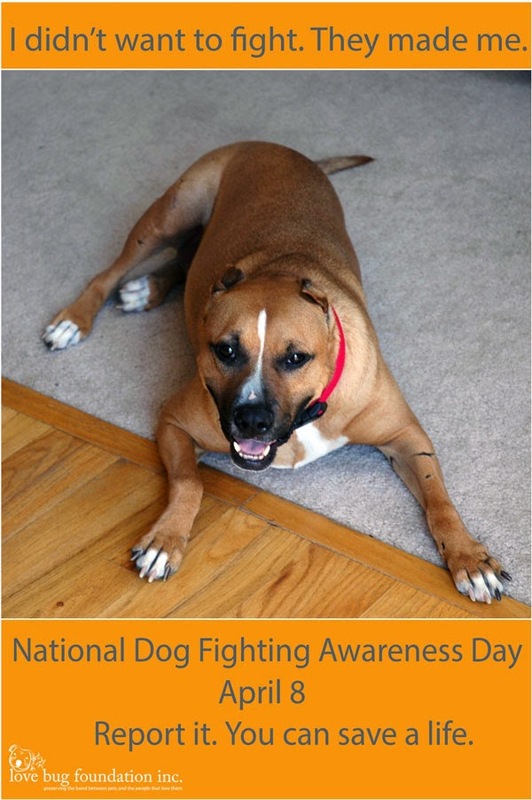 Today is National Dog Fighting Awareness Day and for us, it holds a place near and dear to our heart. Reily (aka Reily Roo, Roo Bear, Rooty, Tooty), the dog for which the love bug foundation was named after was used a bait dog. She refused to fight and so was used to train the dogs that would. Her body bore the scars of the abuse yet somehow her personality escaped. Despite horror that we will likely never truly understand she was the sweetest, most affectionate and most trusting dog. She would do anything for a pet and a treat and truly served as an ambassador to her breed. Unfortunately, many other dogs are not lucky enough to escape. Some are forced to fight to the death while others are so physically or emotionally damaged they cannot be saved. Beyond building awareness, it's imperative we take a stand against such cruelty. If you see something or suspect something, please report it. You just might save lives. Sweet Reily - we miss you!